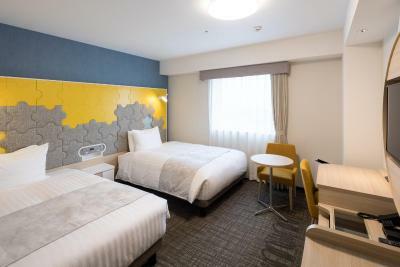 Lock in a great price for Comfort Suites Tokyo Bay - rated 9 by recent guests. Great Breakfast. Free Disney Shuttle. Located close to the bay. Large and quiet rooms with nice little details. 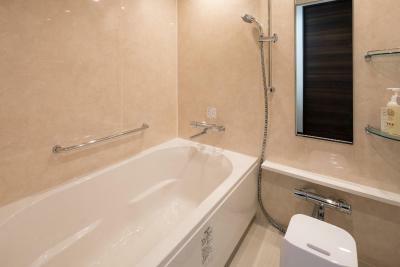 Great brand new hotel with spacious room! Lawson’s right next to the lobby. Great service, great room, great breakfast. Highly recommend! One of our top picks in Tokyo.Comfort Suites Tokyo Bay is situated in Tokyo, 2.5 miles from Tokyo DisneySea and has a fitness centre. With free WiFi, this 3-star hotel offers free shuttle service and a 24-hour front desk. The accommodation provides luggage storage space and a kids' club for guests. At the hotel, the rooms have a desk, a flat-screen TV and a private bathroom. All units will provide guests with a microwave. A complimentary breakfast is available at the property. Tokyo Disneyland is 2.7 miles from Comfort Suites Tokyo Bay, while Tokyo Gate Bridge is 6.2 miles from the property. The nearest airport is Tokyo Haneda International Airport, 10.6 miles from the property. 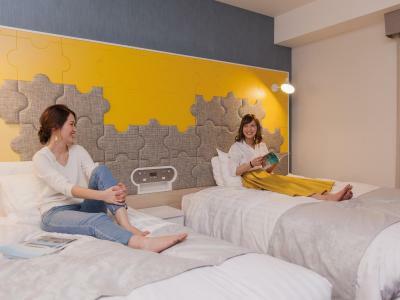 Comfort Suites Tokyo Bay has been welcoming Booking.com guests since 12 Apr 2018. 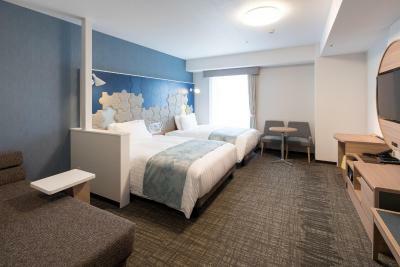 When would you like to stay at Comfort Suites Tokyo Bay? A sofa bed will be prepared for a 3rd guest, only when the booking is made for 3 adults. Please indicate the correct number of guests at time of booking. Private parking is possible on site (reservation is not possible) and costs JPY 1500 per day. 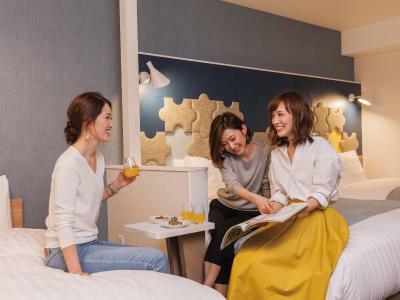 House rules Comfort Suites Tokyo Bay takes special requests - add in the next step! Comfort Suites Tokyo Bay accepts these cards and reserves the right to temporarily hold an amount prior to arrival. Shuttle bus to Disneyland is infrequent. No shuttle bus to JR station. We need to take a cab upon arrival. Very spacious. Staff is very helpful though their English is not fluent. Great to have Lawson inside hotel and oven inside guest room so that we could have dinner in room after a long day at Disneyland. The breakfast choice remains same every morning. Good clean and nice room. Nice view from the window. Requested to book my room on the same floor with my friend, and they assured us they can, but they did not do it. Not reliable. Shampoo, hair conditioner, body soap, tooth brush, tooth paste, hair brush, pyjama, disposable body wash flannel are all ready for you to use during the stay, so you do not need to take them. Less things to carry in the suits case is good for me! They have a shop on the ground floor and fridge in the room, so buy some cold drinks and keep them cold in the fridge. Useful. I like everything. It exceed my expectations! My mom loved the hotel. I wish I could stay more days. Next time, I will stay again! The distance to Urayasushi railway station is a bit far. You will need to catch the bus (¥150, route 3 or 11) or take shuttle bus to Disneyland then go to the Maihama station. It would be nice if there is shuttle bus to train station. Breakfast times need to be slightly later...maybe till 10am. A bit loud and busy. As Disneyland is nearby there are quite many children. Slightly out of the way of station needed to get taxi there but no problem .